We believe that children are a valued part of the Story that God is writing today through his people. We long to help children discover their place in God’s story and how he has created them to live in and care for the world around them. Milwood Commons Preschool and Childcare uses The Creative Curriculum® for Preschool, a research-based, award-winning curriculum that features exploration and discovery as a way of learning. 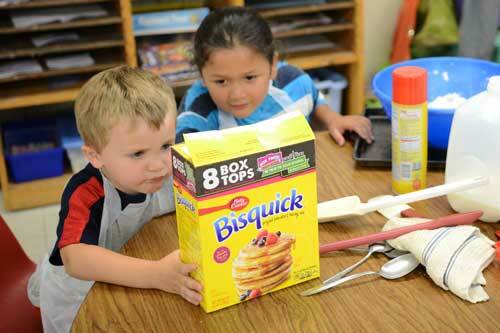 Using exploration and discovery as a way of learning, The Creative Curriculum® for Preschool enables children to develop confidence, creativity, and lifelong critical thinking skills. The Creative Curriculum® for Preschool is based on 38 objectives for development and learning, which are fully aligned with the Head Start Child Development and Early Learning Framework as well as early learning standards for every state. 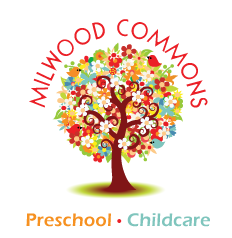 Milwood Commons Preschool and Childcare uses The Creative Curriculum for Infants, Toddlers & Twos that offers expanded daily support, guidance, and inspiration to teachers and caregivers of the youngest learners. It provides the “what” and “why” of responsive caregiving, and the important “how” to help foster children’s learning and growth. The Creative Curriculum for Infants, Toddlers & Twos is based on 38 objectives for development and learning, which are fully aligned with the School Readiness Goals for Infants and Toddlers in Head Start and early learning standards for each state. God’s story shows us to love others like He loves us. We engage all day long in problem solving, growing empathy, emotion management and developing language. We do not use time outs, instead we actively help children learn to manage their own emotions. To recognize when their body needs to walk away and to return when their body is ready to re-engage with their friends and teachers. Milwood Commons Preschool and Childcare staff work to model and teach what it looks like to treat others the way we want to be treated. 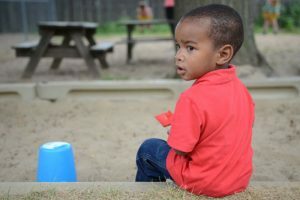 The outdoor play experience is an important part of your child’s day at Milwood Commons Preschool and Childcare, it is an extension of the indoor classroom. It is our policy that all children participate in outdoor activities on a daily basis, weather permitting. With this in mind, please dress your child accordingly. In the event of inclement weather or extreme temperatures, outdoor play experiences may be limited or cancelled and an indoor alternative will be planned.